We all crave simplicity in our lives, but often times, we have no idea how to get there. Those that have arrived at simple homeschool days are often looked at as not doing enough academically or being relaxed in their approach. Then there are some of us, (this is where I fit) who have simple homeschooling days and can easily feel the pull to do more because it seems too easy at times, and can feel that it should be harder because of what others are experiencing. These 5 steps are not rock science or difficult to implement. They just need time to consider, ponder and depending on your place in your journey, get a little extra help in putting it together for your unique family. 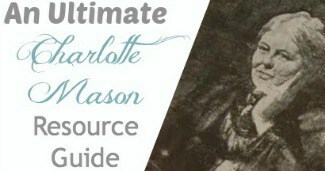 Unique Needs and Preferences – This one sounds so simple, but it is where I struggle most in my homeschooling journey because I can be swayed by the pull of those around me who don't follow my method of homeschooling that is a very gentle and easy to implement way to educate our children. 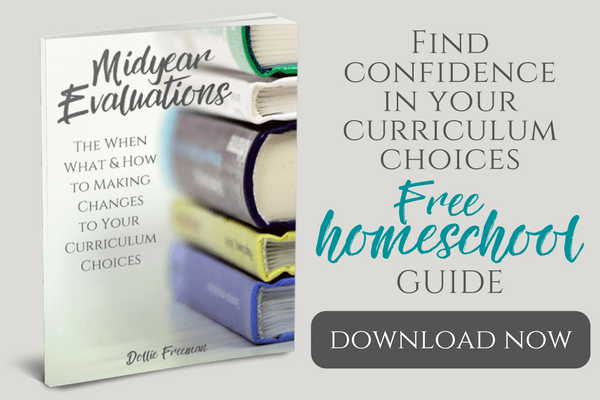 Seeing how easy it has been for our children to be independent learners, I need to often times remind myself of our unique needs and preferences, so I can stay true to our goals in homeschooling. 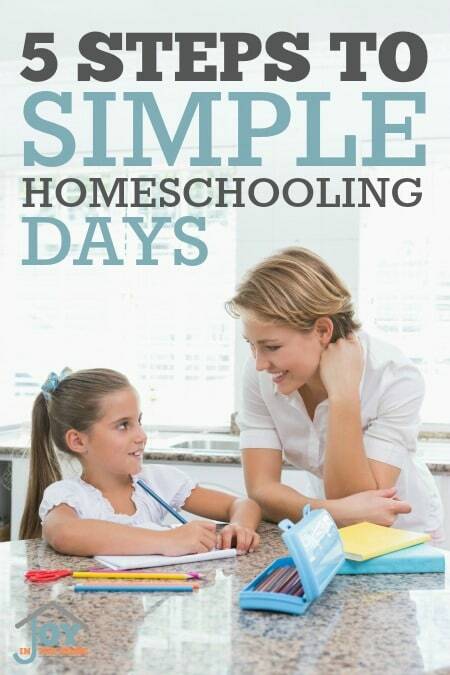 This necessary step to simple homeschool days is where many women struggle for this same reason. Chores and To-Do List – Let's face it, it isn't the homeschooling that can cause our days seem to overwhelming but all the other chores and to-do list that can really add that level of stress that makes simple days seem impossible. Identifying systems that are unique to your family and give you steps toward implementing a simple day is priceless. There are times that I even have to remind myself of how these systems work and once I get back into our system for chores and even our laundry, we find the peace and joy that we desire for our homeschooling. Finding Rest – Rest doesn't come easy for me, because of my personality and energy level. Knowing this, I need to work hard to find rest in my day, to help me have a simple homeschool day and not just move from one thing to the next. The more that I work to add rest into my day, I can step back and see that our simple homeschool days are providing our home with peace and my life with joy. Identifying Obstacles – These are the robbers of my joy. 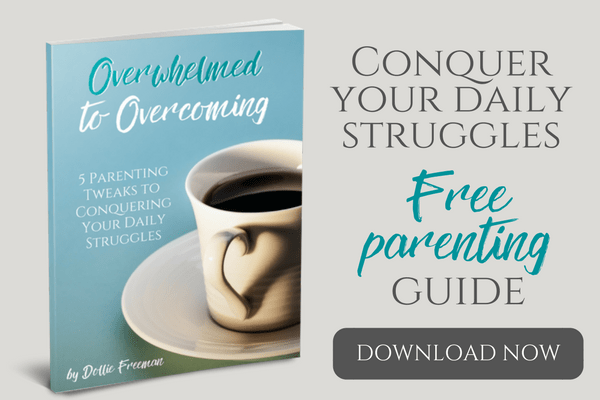 Our home can easily become derailed from a simple day if I don't identify and keep our obstacles into check and keep solutions available to removing them and safe-guarding us from these daily issues. 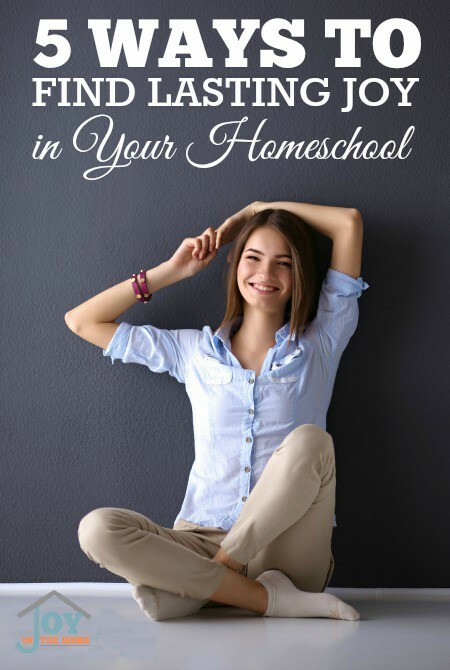 Set Boundaries – Once our family understood what was allowed and where the boundaries were, and we were consistent in implementing them in our homeschool routines, the simple homeschool days were becoming a normal occurrence in our home. We all thrived to see how our days had free afternoons because of the efforts we all do to stay within these boundaries and we all have reaped the benefits.